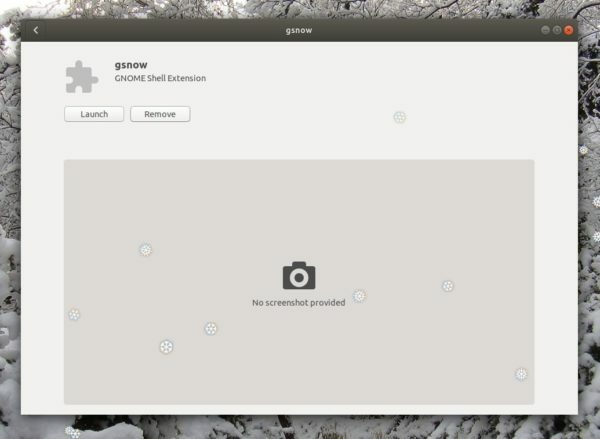 Since the command line tool xsnow does not work any longer, Gnome 3 users can use an extension called ‘gsnow’ to make desktop snow. Never installed a Gnome extension? You may first read this how to install tutorial. 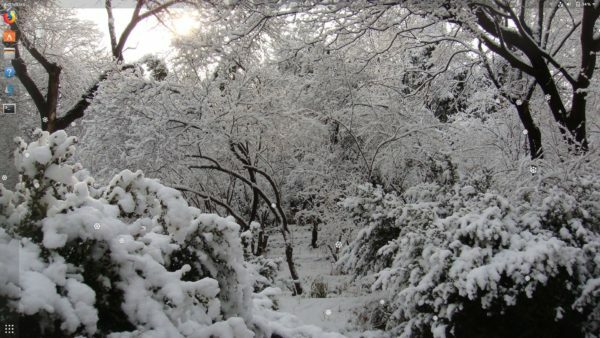 Once installed the extension, start or stop snowing by clicking on the little snowflake icon on top-right system tray. 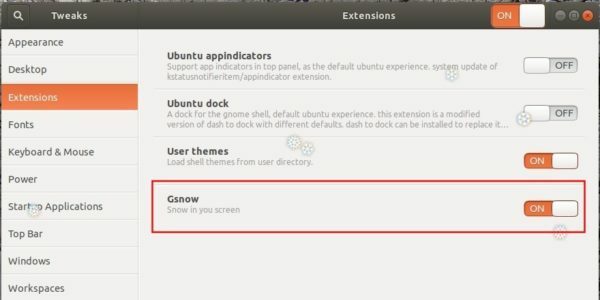 Search for and install ‘Gnome Tweaks’ in Ubuntu Software. The tool offers a tab for managing installed Gnome extensions.